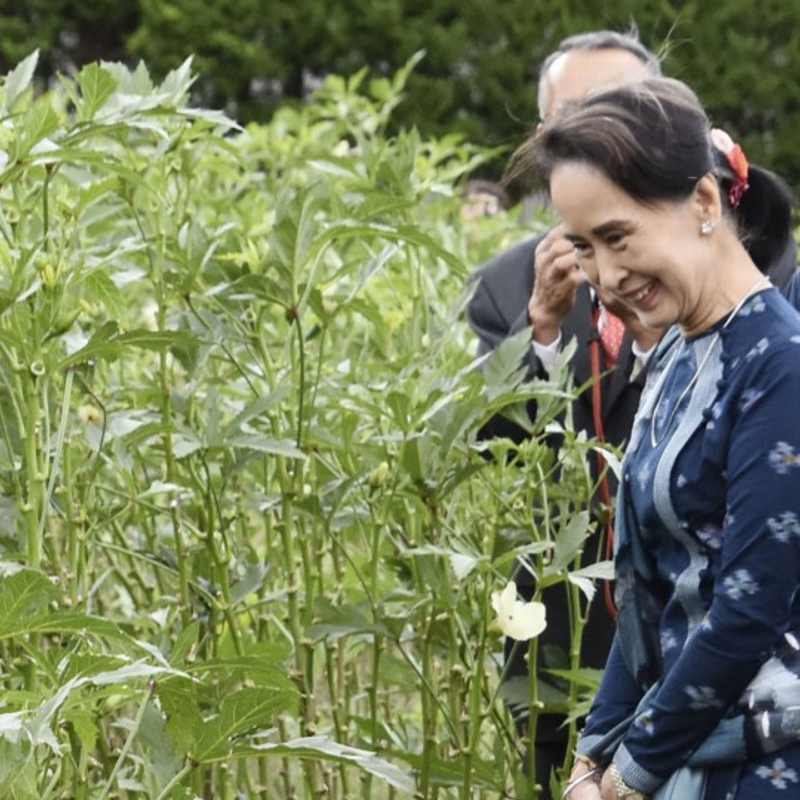 Myanmar's Suu Kyi visits organic farm in Japan's Fukushima Pref. SEOUL - Myanmar leader Aung San Suu Kyi, currently in Japan for a regional summit, visited Fukushima Prefecture on Sunday to tour a farm that employs workers with various disabilities. Some rural areas of Myanmar face a serious shortage of farm workers, and Myanmar is seeking solutions to ease the problem. Suu Kyi visited Cocoroya farmers market and cafe in Izumizaki where she viewed the produce and toured the facility. The farm grows a variety of vegetables organically and runs a small market selling its produce and a cafe there. After touring the facility, Suu Kyi said she had learned a lot from her brief visit and expressed her appreciation as well as sympathy to the people of Fukushima, who have gone through difficult times since 2011 when a massive earthquake and tsunami and ensuing nuclear disaster hit the area. Suu Kyi arrived in Japan on Friday to attend a regional investment forum on Monday and the 11th Mekong-Japan summit meeting Tuesday. She is scheduled to leave Japan on Wednesday after meeting with Prime Minister Shinzo Abe on Tuesday.